This is blog post four out of four in the Fresh Relevance Travel Series. Data is fundamental to the travel sector. No other sector is so dependent on personalization, customization and live pricing. Businesses drive revenue as well as effectively organizing themselves based on collecting and analysing data, testing for optimization and monitoring their success. Fresh Relevance collects huge amounts of data about shoppers, products and transactions. It can read live prices and product availability from your pricing API in real-time. It integrates person, product, transaction and offline data with your other marketing tools. Firehose for bulk export of transaction data to your CRM or Analytics suite. Price Drop target shoppers who were interested in your holiday offer, didn't buy yet but might do, so now it is cheaper. 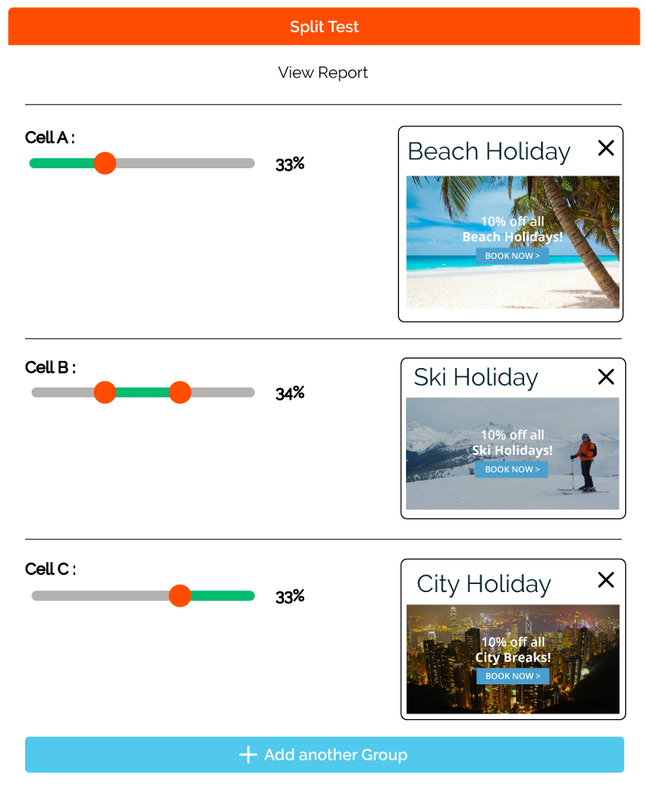 Segment Builder lets you drill down into the mass of data, create and target the right traveller segments for your bulk marketing. Firehose can enrich any database or analysis suite with huge amounts of data. We export real-time behavior data via your FTP server, to empower your other travel marketing tools. Segment Builder builds precision segments for online shoppers based on behavior and purchases. Import them into other marketing tools such as bulk email marketing, or adverts for channels such as Facebook, Google and Twitter. For example create a re-engagement campaign targeting customers who were searching for beach holidays in Italy last week. Use Segment Builder tool to target the same group of customers with emails, Facebook ads and Google ads. This maximises engagement and helps your marketing get quick results. In such a massive market as the travel market, testing for optimization is key. Split Testing, also known as A:B Testing, is a popular method of market research, which makes it quick, simple and affordable to optimize website and email content for the best results. The most effective features to Split Test are Popovers, Banners, Product Recommendations, Coupons, Weather and Countdown Timers. You can also mix the features up e.g. comparing a Coupon with a Banner. Fresh Relevance provides many real-time and historic reports to monitor the success of your real-time marketing. It is important to be able to see your return on investment in an easy format (ROI Report) that can be simply adjusted for different time frames and that shows the effectiveness of various real-time marketing tactics. You can further optimize your real-time marketing content with Slot Rules (Marketing Rules) using e.g. personal profile and activity, location, weather and live API data.